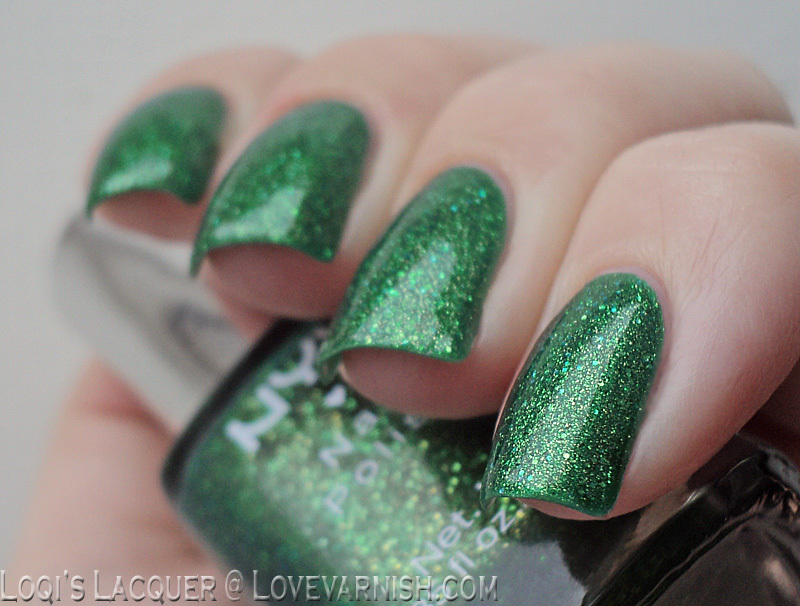 This Monday I've got a NYX polish for you. 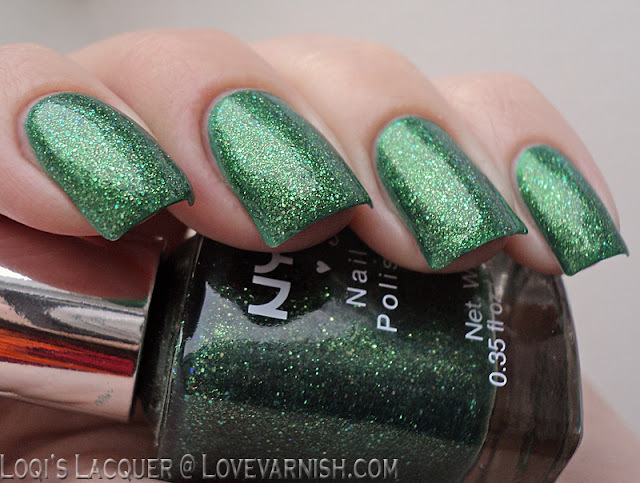 I don't have a lot of NYX polishes, but the ones I have are all great, and this one is no exception. 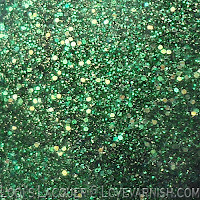 Emerald Forest is a very sparkly grass green polish made up of different sizes of green glitter with some gold mixed in. It''s a little on the sheer side though (it would take 4 thick coats to be opaque) so I layered 2 thick coats of it over Catrice Virgin forest just to hide the bald spots. I am afraid my pictures do not do this manicure justice by far! 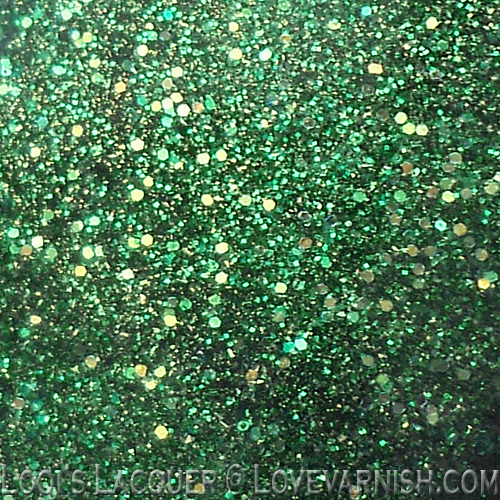 This was so crazy sparkly it kept distracting me for days, even in the gloomy weather we have been having! I'll definitely will be wearing this again soon! Hopefully by then the sun will have found its way back into the sky so that this polish gets the sunshine it deserves. I hope you guys like it too, and see you next week! 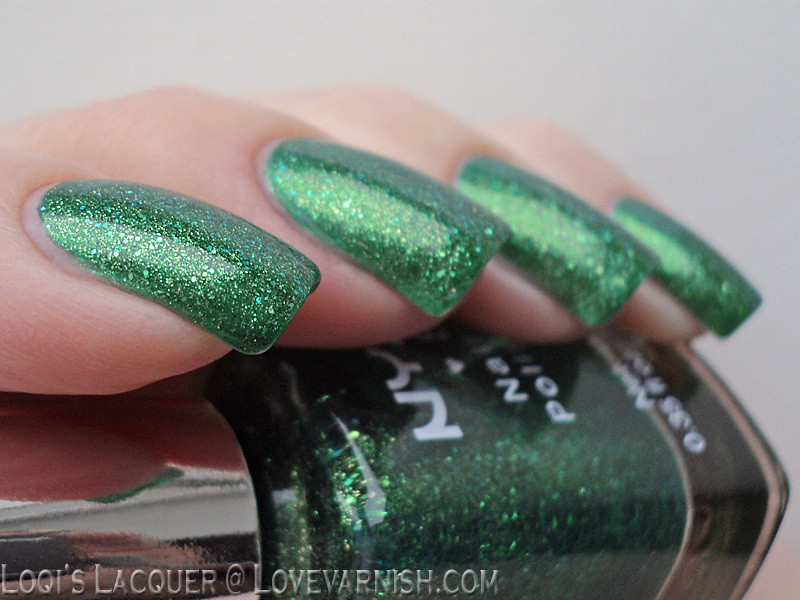 wow gorgeous swatch! I had this polish for a long time and since I never used it I got rid of it now I want it again ehehhe.. typical hoarder problem! Oh Loqi! That's gorgeous on your nails! You captured it so beautifully. Ahw haha, I know that feeling!